We saw a strange self-driving car on the streets of San Francisco, with no logo to identify which self-driving car company it belongs to. It's a Subaru Impreza - but Subaru says it's not one of theirs. 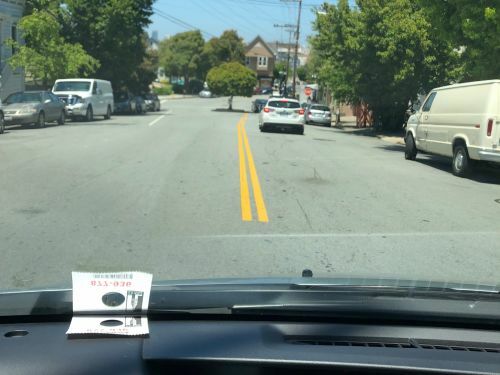 Self driving cars are all over the streets of San Francisco these days, with prototypes from GM's Cruise project and various other companies regularly spotted.